Bangalore: India’s third largest software exporter by sales, Wipro Ltd , said it will buy Citi Technology Services Ltd (Citos) the technology arm of Citigroup Inc., for $127 million (Rs616 crore). The cash deal would allow Wipro to get $500 million worth of assured business in software services and infrastructure management over the next six years, the company said. In October, TCS had acquired Citigroup Global Services Ltd (CGSL), the backoffice centre of Citigroup for $505 million with assured process outsourcing revenues of $2.5 billion over nine-and-a-half years. For companies such as Citigroup, exiting captives help them to focus on core business operations, while getting the advantage of scale and increase in productivity from outsourcing vendors, said Jagdish Rao, global technology head for Citi. Citos, set up in 2004 as a pilot to offer remote technology infrastructure services and application services for Citi units, employs 2,050 professionals in its units in Chennai and Mumbai. Citos expects revenue of $80 million for the year ending December. 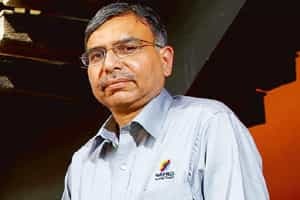 Wipro Technologies, the IT arm of Wipro, will also get any new business on infrastructure management services (IMS) from Citos as a sole vendor, said Girish Paranjpe, joint chief executive of Wipro. This business contributed 17% of Wipro’s IT services revenue of Rs4,750 crore for the quarter ended September. “The deal will add to Wipro’s IMS capabilities, which we believe can be leveraged to gain greater penetration within client budgets," Diviya Nagarajan, analyst with JM Financial Institutional Securities Pvt. Ltd, a Mumbai brokerage, said in a note. “However, it seems expensive in comparison to TCS-CGSL, which had scalable BPO platforms," she said in the note.